Although 2012 marked the centennial of the birth of an American icon, no one threw a party in his honor. There were no front-page headlines about him, no major books published, no retrospective exhibitions staged. Millions of people have visited his creations, but only a small fraction know his name. 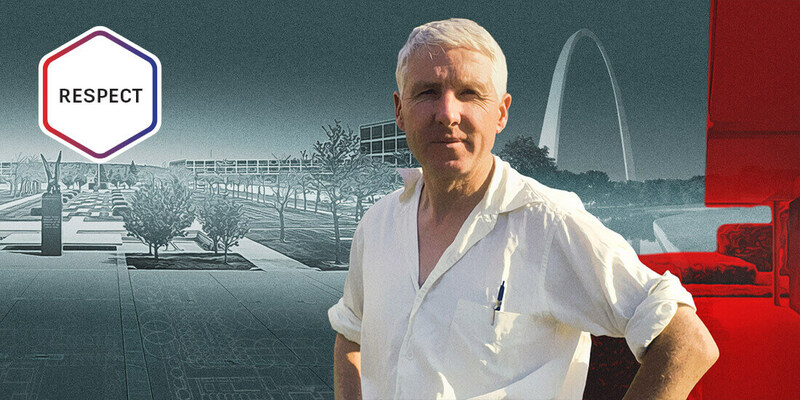 That forgotten icon is Dan Kiley, one of the nation’s most prolific landscape architects and the designer of more than 1,000 public and private landscapes nationwide, including such notable sites as the Jefferson National Expansion Memorial (better known as the St. Louis Gateway Arch), the US Air Force Academy near Colorado Springs, the Art Institute of Chicago’s South Garden, and Fountain Place in Dallas. This article originally appeared on Autodesk’s Redshift, a site dedicated to inspiring designers, engineers, builders, and makers. Continue reading the article: https://www.autodesk.com/redshift/dan-kiley/. Photo Credit: Dan Kiley, courtesy the Cultural Landscape Foundation, Aaron Kiley. Image composite: Earl Otsuka.